Evil Triad is a collectible card-game prototype made in a week-end of May 2017 by a team of four. It wasn't made for a specific event, but as an opportunity for prototyping a game that could eventually evolve to releasable game. 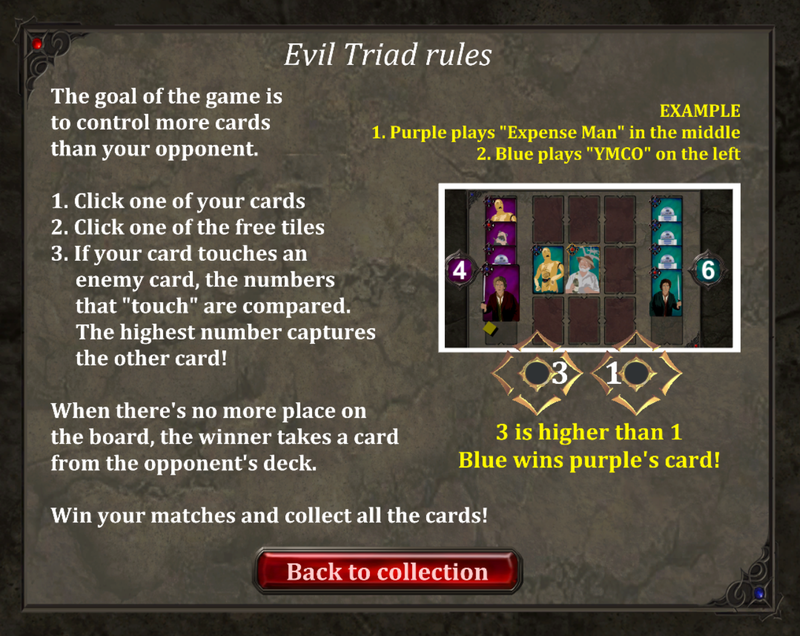 For this prototype, the gameplay is basically a clone of the excellent Triple Triad from Final Fantasy VIII, whose rules are available in-game. It can be played both in solo mode (letting you earn and lose cards) and 2 player hot-seat mode. As you play, new cards might appear in your opponent's hand. Win the game to capture them and expand your collection!